As a two piece wedding band, we're massively inspired by the powerful chemistry and presence that some of our favourite duos embody. Their intimacy and yin-yang is almost tangible when you watch these guys performing harmoniously together. Whether united by family, love or friendship, we can't help but think that these twosomes are super lucky to have been fated together. From our own humble experience, we know that to be one of two musical halves can make us feel entirely whole as musicians, and with that gorgeous things have happened which may never have emerged for us as solo performers, or within a bigger group, and I imagine that's the same for a lot of musical partnerships. For each question your hubby or wife to be gets right, you have to give them a great big smackeroonie of a kiss. For every one they get wrong, they must impersonate the singer(s) of the song. 1. In which year did the duo MGMT have a hit in the UK charts with 'Time to Pretend' and 'Kids?' Answer - 2008. 2. Which singer and songwriting duo wrote and performed 'Solid as a Rock?' Answer - Ashford & Simpson. 4. What's the name of Karen Carpenter's older brother? Answer - Richard. 5. 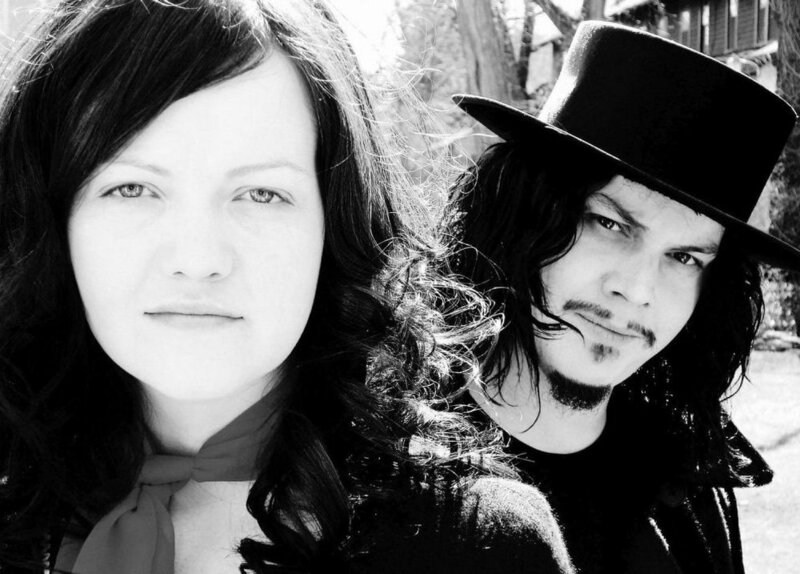 Are the White Stripes husband and wife or brother and sister? Answer - They say brother and sister but there are rumours they may be ex husband and wife - so no right or wrong here. 6. What's the name of the musical duo made up of Zooey Deschanel and M. Ward? Answer - She & Him. 7. Dan Aykroyd starred alongside which other actor to form a musical duo in the movie, The Blues Brothers? Answer - John Belushi. 8. Macklemore & Ryan Lewis talk about the issue of gay and lesbian rights in one of their songs. What's it called? Answer -Same Love. 9. The Ting Tings are a U.K duo from Manchester. Can you name their song which includes the line 'Four letter word just to get me along?' Answer - That's Not My Name. 10. Dolly Parton and Kenny Rogers sang about 'Islands in the Stream' but who wrote the song? Answer - The Bee Gees. 11. In their youth, the duo Daft Punk said they shared a mutual love of which male vocalists songs? Barry Manilow or David Bowie? Answer - Barry Manilow. 12. The duo Buckingham and Nicks went on to join which legendary band? Answer - Fleetwood Mac. 13. Hall & Oates' foot tapping song 'You Make My Dreams Come True' featured in a cheery T.V. ad' in 2017. For which popular food chain was it? Answer - MacDonalds. 14. One of the male artists from the duos pictured above is an active animal rights campaigner and strict vegan. So much so that members of PETA once voted him the world’s sexiest celebrity vegetarian. Who was it? Answer - Andre Benjamin aka Andre 3000. 15. This will have to be a complete guess for you guys! Your wedding duo, Georgia and Michael's first song we ever sang together was on our first date! Do you think it was a. 'Always Forever' by Donna Lewis. b. 'Heroes' by David Bowie or c. 'Somebody Told Me' by The Killers? Answer - Always Forever. You can decide on the bonus or booby prize for this one guys! The face of a man who's just been kissed a dozen times. It was tough, but somebody had to do it! As for the bonus or booby prize, that's honestly not why he's smiling! ha-ha. We hope you enjoyed that little bit of fun and there were plenty of kisses and giggles! Lots of Love and even more kisses from us! Help! We Don't Want A First Dance!